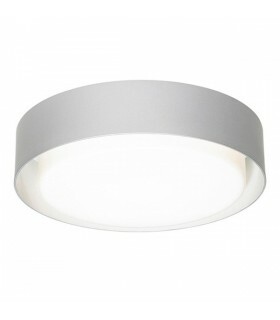 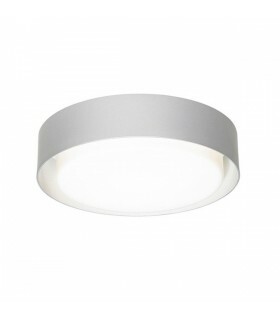 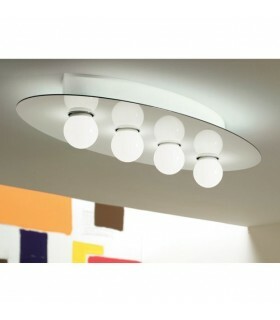 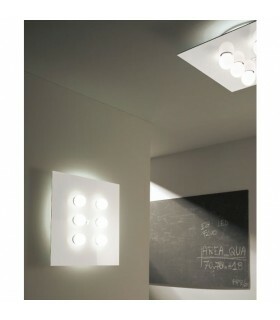 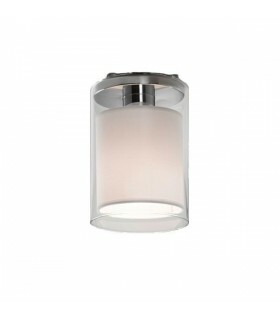 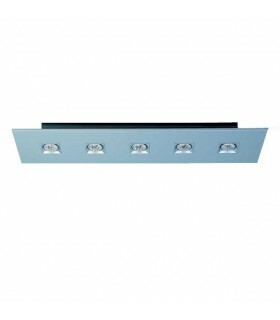 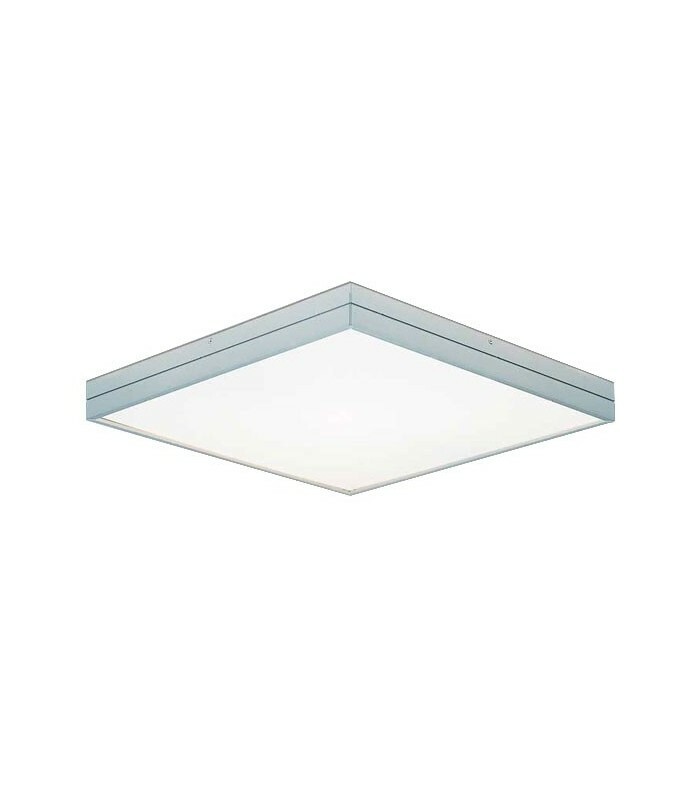 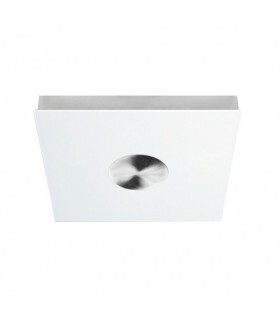 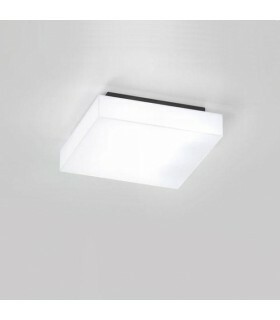 Decorative luminaire square built in steel and white opal glass. 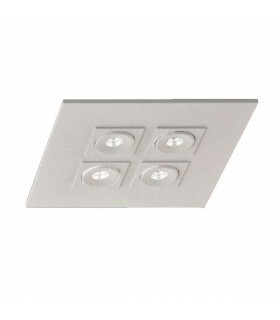 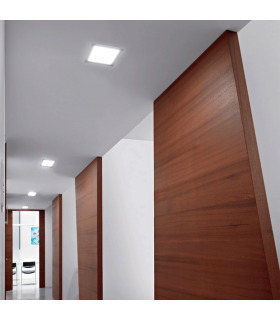 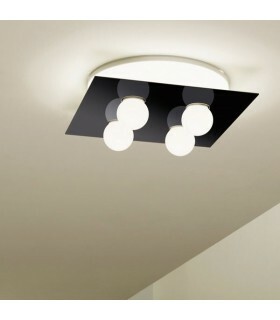 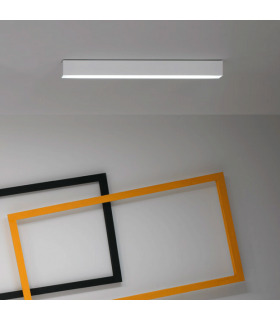 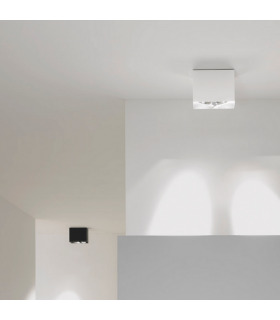 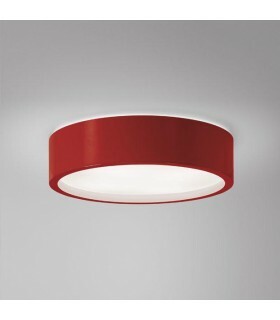 The ceiling emits light in both directions, 75% down and 25% upwards. 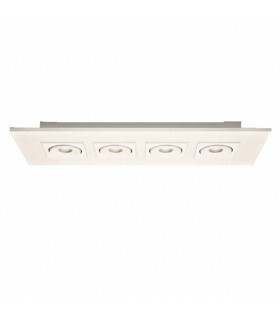 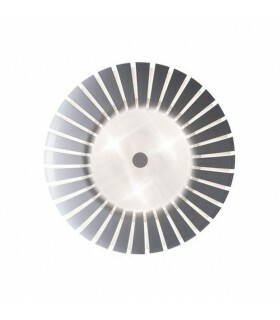 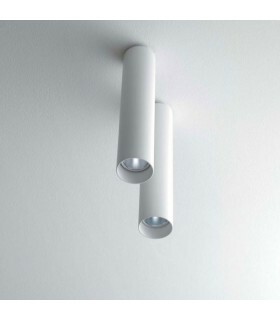 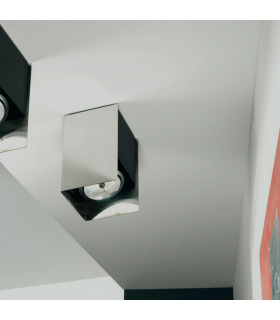 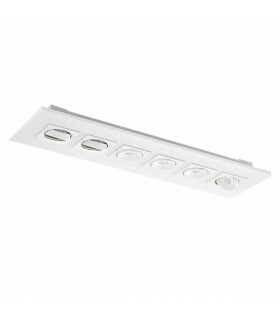 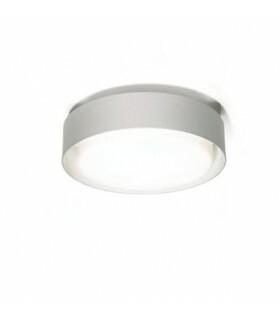 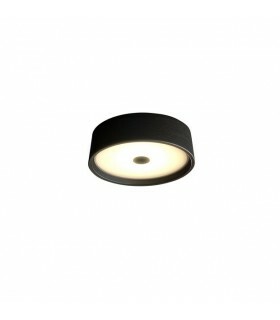 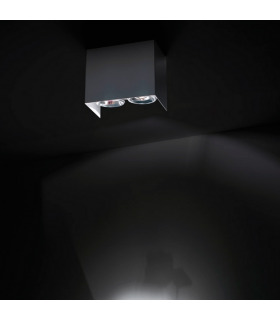 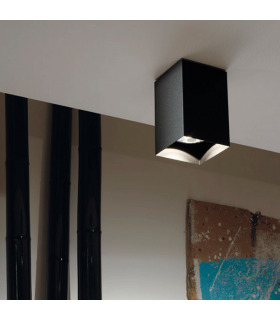 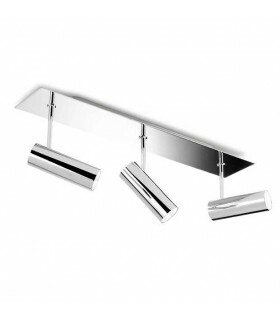 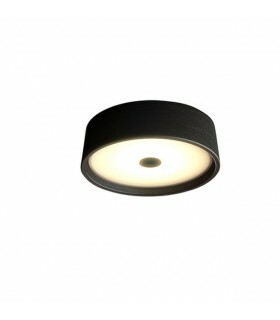 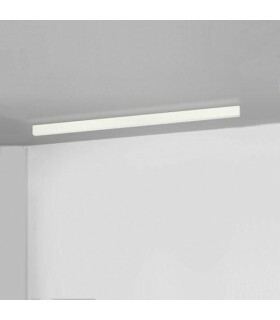 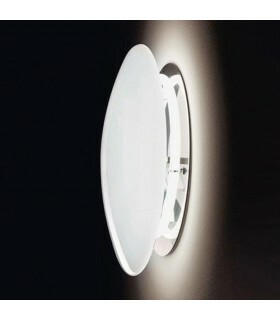 It incorporates socket compatible with linear halogen bulbs. 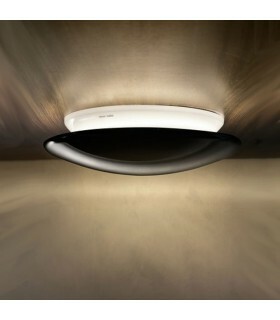 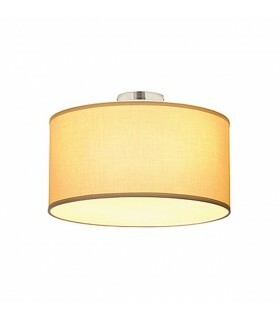 Halogen bulbs endow it with high light output with a warm light.